Having come to academia with a background in nonprofit marketing, Cassandra’s research focuses on the psychology of charitable giving and public perceptions of nonprofits. She uses quantitative and qualitative methods to understand when and why donors are more (or less) willing to give to particular causes and the implications such preferences have for how charities communicate. More broadly, Cassandra is interested in the application of psychological knowledge to social issues. Research questions include: How do people choose which types of charity to support and which to neglect? What roles do identity and social norms play in determining who gives to charity, how much is given, and which causes are supported? How important is trust in giving decisions? How do fundraisers influence donation decisions? What kinds of aid are offered and why? Do consumers respond to effectiveness information about charities—why or why not? Research questions include: What do people think about nonprofits (vs. commercial organisations)? How do consumers respond to ethical violations occurring within nonprofits? Do specific charity scandals affect overall trust in the nonprofit sector? What sectoral influences may affect the likelihood that ethical violations occur? 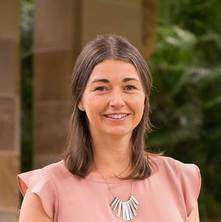 Cassandra's research helps to understand and promote generosity within Australian society--ensuring essential community services are delivered and encouraging social harmony through increased community participation. Insights from her research can also help charities and nonprofits to raise money more effectively and develop evidence-based best practice in how to communicate about their important work. Louis, Winnifred R., Chonu, Gi K., Achia, T., Chapman, Cassandra M. and Rhee, Joshua (2018). Building group norms and group identities into the study of transitions from democracy to dictatorship and back again. In Brady Wagoner, Ignacio Bresco de Luna and Vlad Glaveanu (Ed. ), The road to actualized democracy: a psychological exploration (pp. 27-58) Charlotte, NC, United States: IAP-Information Age Publishing. Healthy eating: a beneficial role for perceived norm conflict? How can we change our voluntary non-remunerated donors to donate more frequently?